Shopping is not really part of my itinerary whenever we travel, except if there is an IKEA in that country and I need to buy something for our house. So even Bangkok, Thailand is a shopping destination, I did not include any shopping activity in our agenda. But things change when we arrived in Bangkok because shopping malls are everywhere. 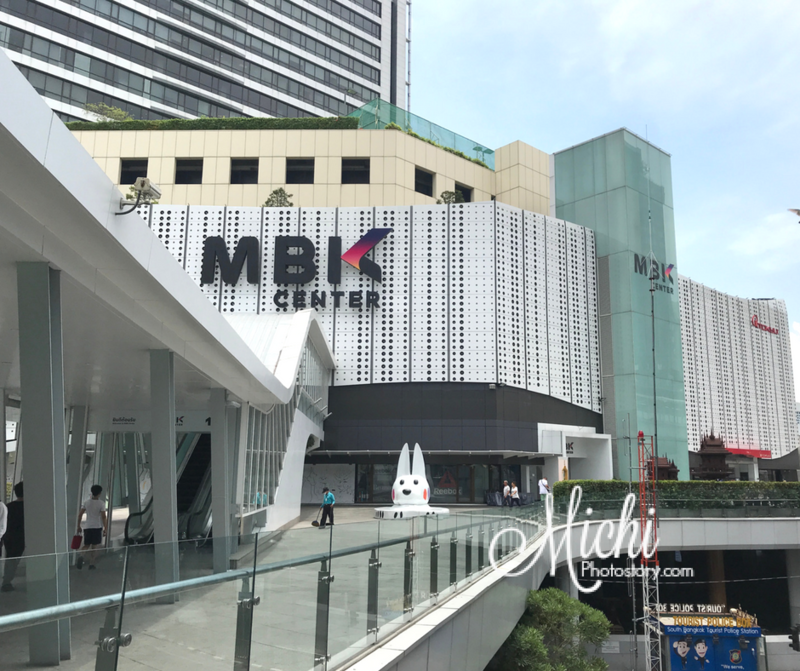 We are few minutes walk away from Terminal 21, we’ve been to Siam Paragon twice because that is where SEA Life Bangkok Ocean World and Kidzania are located and lastly, we were able to pay a visit to MBK Center. 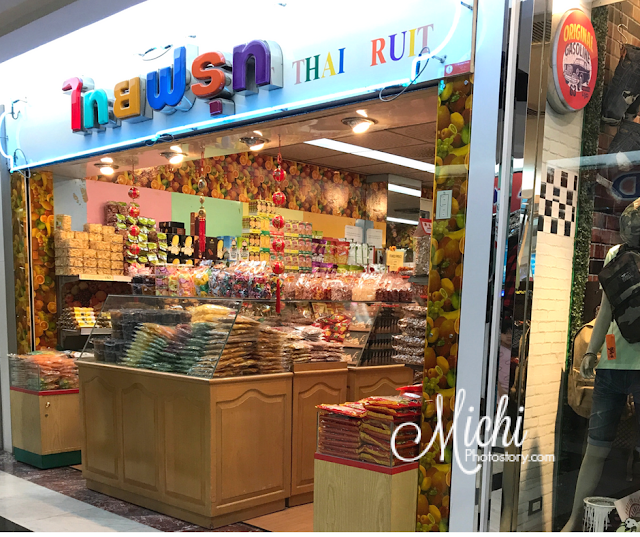 I saw this shopping mall while we were on the train so after our visit at Jim Thompson’s House & Museum, I decided to check this mall. From Jim Thompson’s Street, we just walked until we reach the shopping mall. 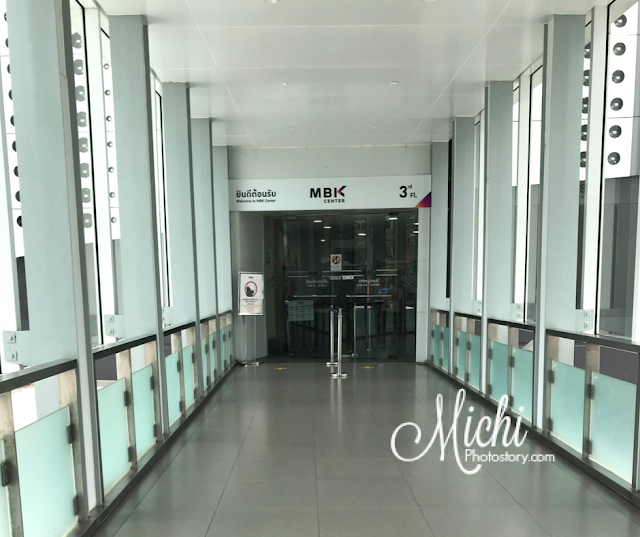 There is an elevated walkway that connects Siam Discovery, Siam Paragon and MBK Center. Mahboonkrong or simply MBK Center is a huge shopping mall in Bangkok Thailand. It is an 8-storey with an estimate of 2000 shops, outlets, Tokyu department store and restaurants. It was the largest shopping mall in Asia way back in 1985. It is a popular shopping mall for both local and tourists because you can haggle for the price. It is like Divisoria or Greenbelt here in the Philippines. As I’ve said before, it is a huge mall so if it is your first time, get a map which I did. I found a map beside the guard when we entered the mall (3rd flr). 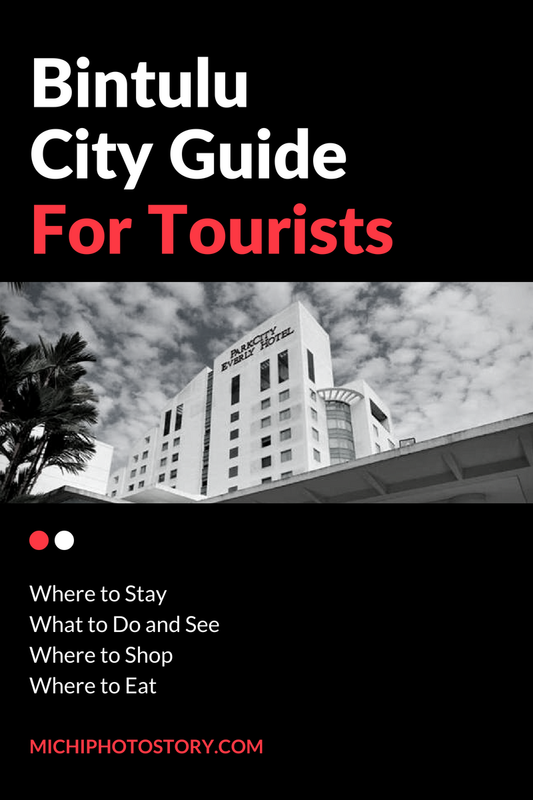 To give you an idea on where to go, check this guide. 3. 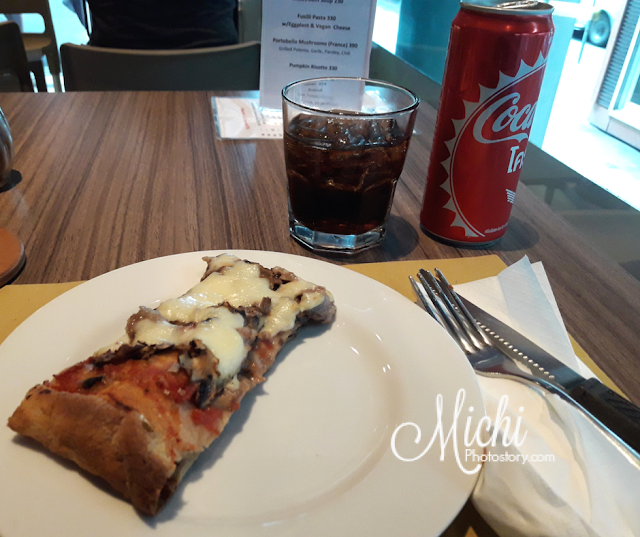 Welcome Drink for Visitor (Show you passport to get a free softdrink) The Fifth Avenue (5th flr) 11AM to 8PM. Since it was time for lunch, I immediately checked the dining section and we ended up at the 6th flr. We ate at Katsuya, a Japanese restaurant. I forgot to take food pictures but we enjoyed our meal. 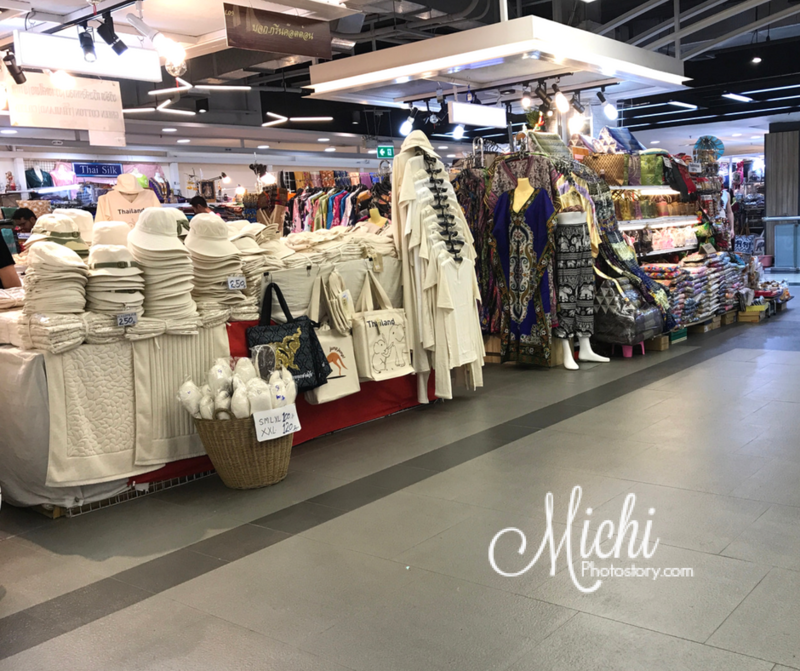 After lunch, my son and I explored the 6th flr, I want to check if I can really haggle and if the products are really affordable. There are really a lot of choices, you can buy souvenirs and pasalubong too. Unfortunately, based on my experience, fixed price so hindi naman ko nakatawad. Minsan masungit pa sila pag naghaggle ka, hehehe!. I was able to buy two lounge pants for THB150 and THB199. I guess you need one whole day if you want to visit all floors. My son and I just checked the 6th flr and decided to go back to our hotel. Even we have a map, it took us time to find the exit (where we entered - 3rd flr). Then we walk to BTS Skytrain for our ride. Tip: The mall is huge, there is a possibility that you get lost. Don’t forget you landmark, remember where you enter so you know your way out. 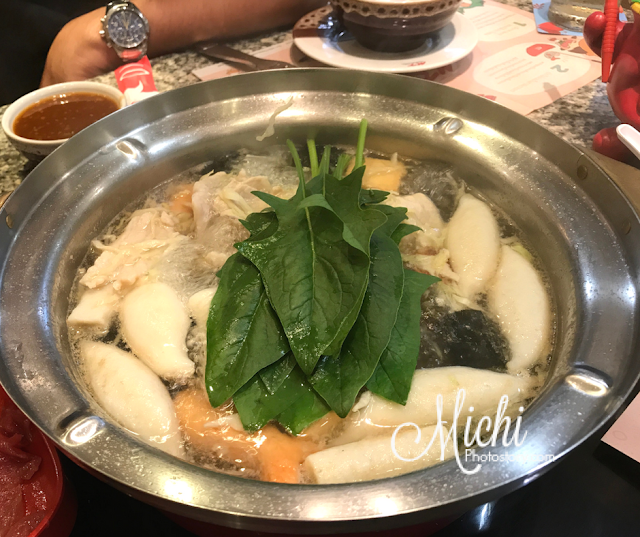 MK Suki now MK Restaurants is a twist of Chinese steamboat dish. 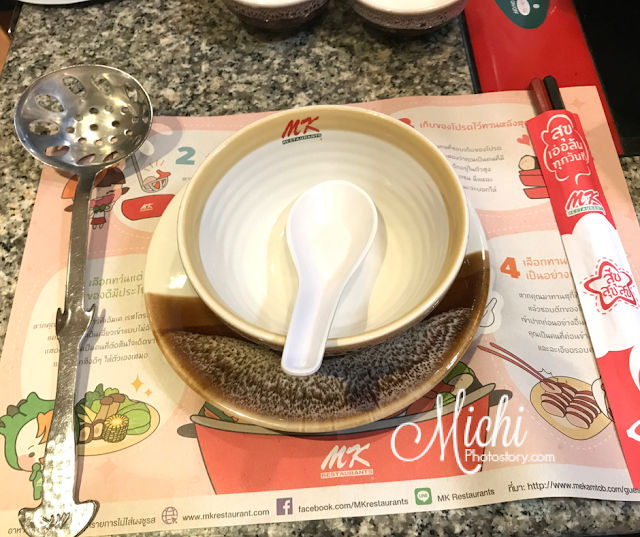 It is a chain of restaurants in Thailand for more than two decades and they also have several branches overseas. 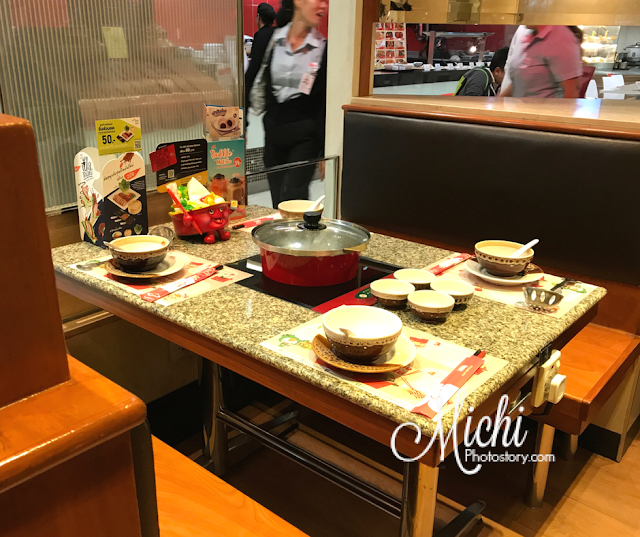 The concept is similar to Japanese Shabu Shabu, where you cook your own food. 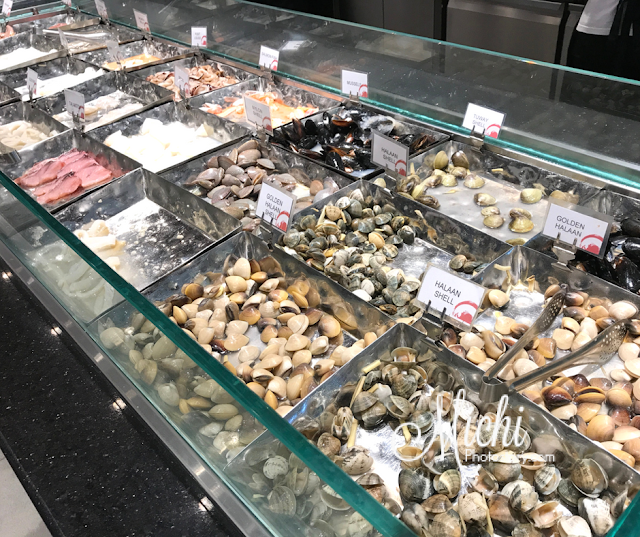 You can order vegetables, meats, and seafood. 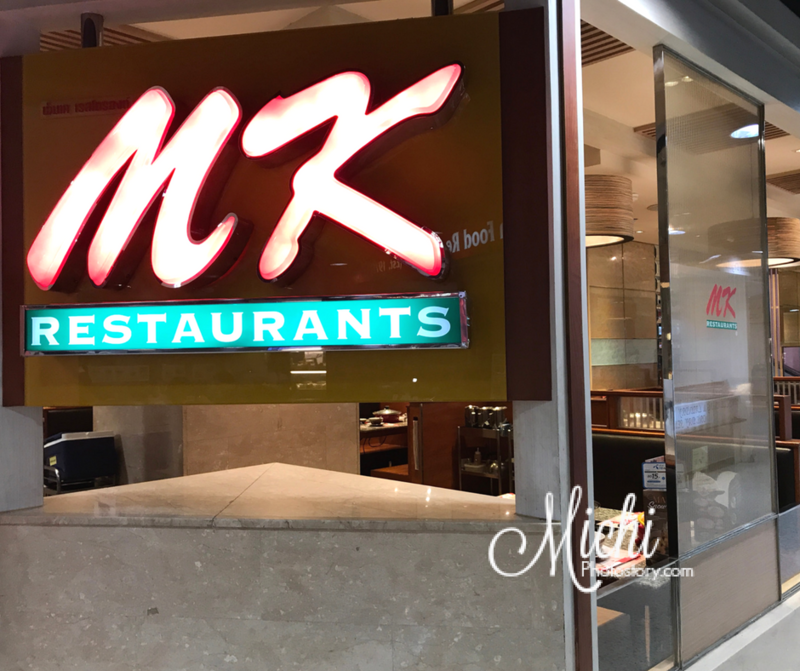 We’ve been eating a lot of fried meals for the past few days so for a change, we ate at MK Restaurants. We saw this restaurant when we went to the Tops Supermarket near Terminal 21. Upon seated, the staff gave us the menu, my husband tried this restaurant before so I just let him order our meal. So we have meat, seafood, vegetables and drinks for a total of THB540. 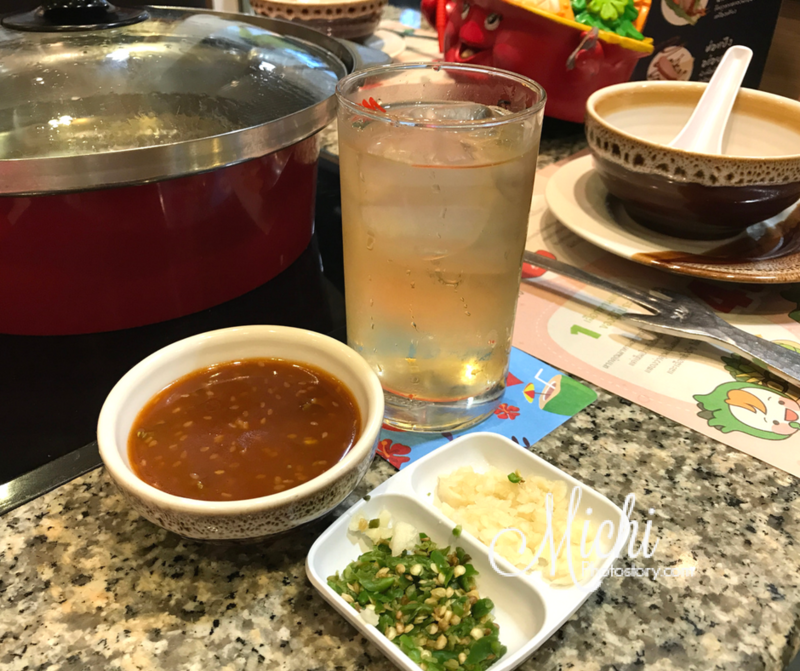 The staff served the sauces, drinks, hotpot, and food one at a time. We just put everything in the pot. The taste is just okay for us or siguro, hindi lang okay yung order naman na sliced meat. 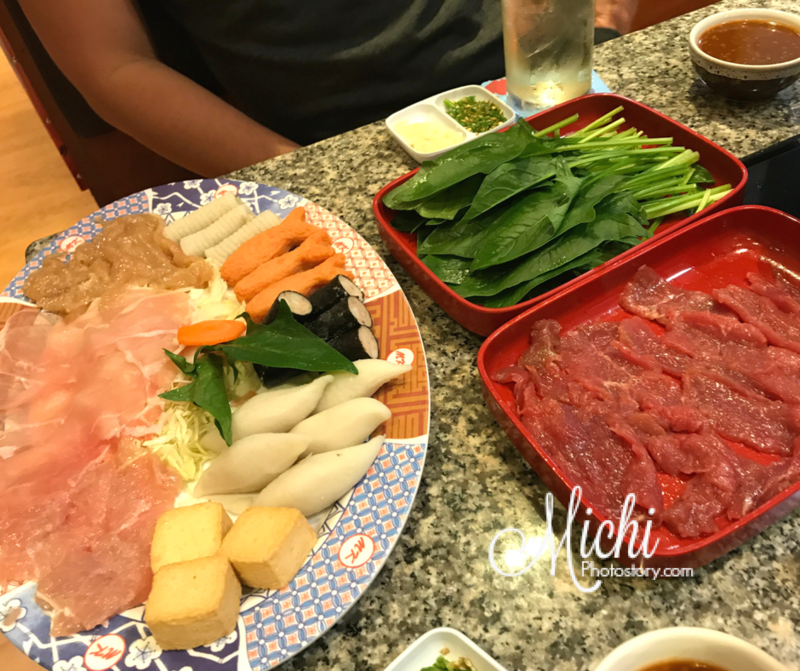 I was expecting the meat that we’ve tried in other shabu-shabu restaurants. 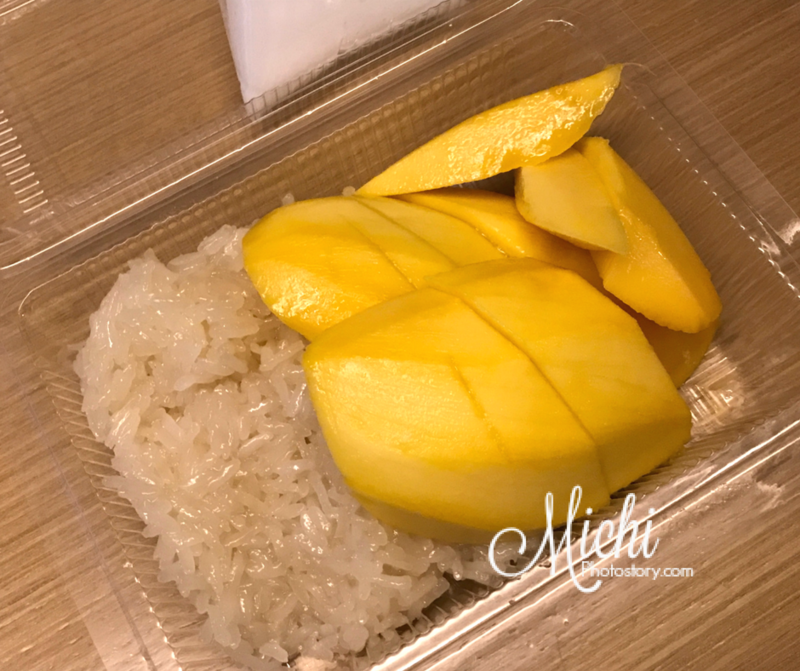 I also ordered Mango Sticky Rice at Tops Flavor for THB75, may mura naman pala na sticky rice, ang mahal nung kinain ko sa The Terrace Restaurant. 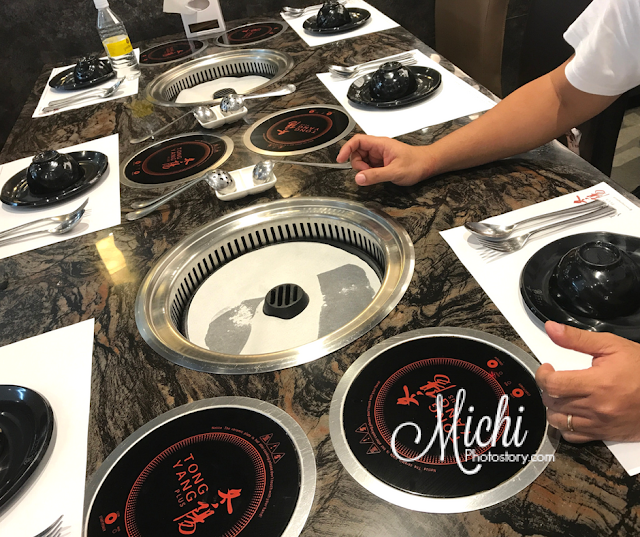 Our family loves to travel but whenever we visit other countries, one of my dilemmas is food. I’m not really adventurous when it comes to food and I’m loyal to Filipino cuisine. Whenever my husband visits a new country, there are times that he will say to me “Di ka pwede dito Hon, magugutom ka”. Hehehe! So whenever we travel, most of the time, we will eat at the fastfood to keep me alive. My husband has been to Bangkok several times already so he suggested some restaurants that we can try. My son and I love pizza so he recommended one pizza restaurant after Terminal 21. Funny thing, he can’t remember the exact location of the restaurant, he just told me after Terminal 21. My son and I almost give up because we can’t find it. On our way back to the hotel, we finally saw Pala Pizza Romana and Bistrot. The restaurant was just simple and small. It is hard to notice the name. 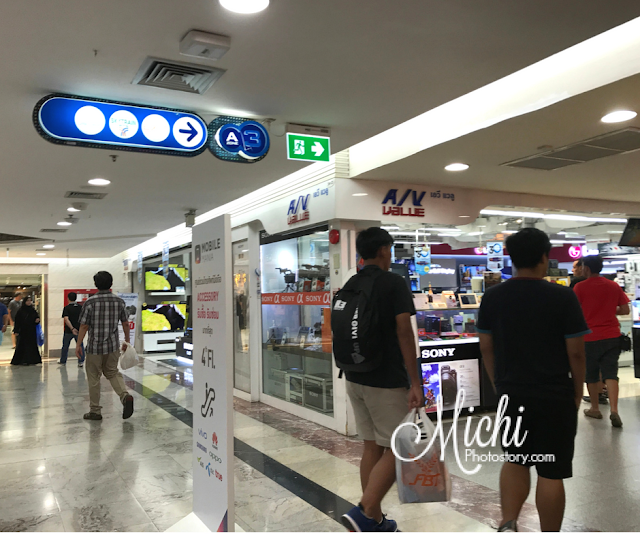 So if you are going to visit, take note that it is near the escalator leading to the MRT. The owner is from Italy so you are guaranteed that you will eat authentic Roman and Italian meals. It was already late lunch but the place was still full. Diners are mixed of locals and tourists, it seems that this restaurant is really popular. Good thing, we got a table. Upon seated, the staff gave us the menu. 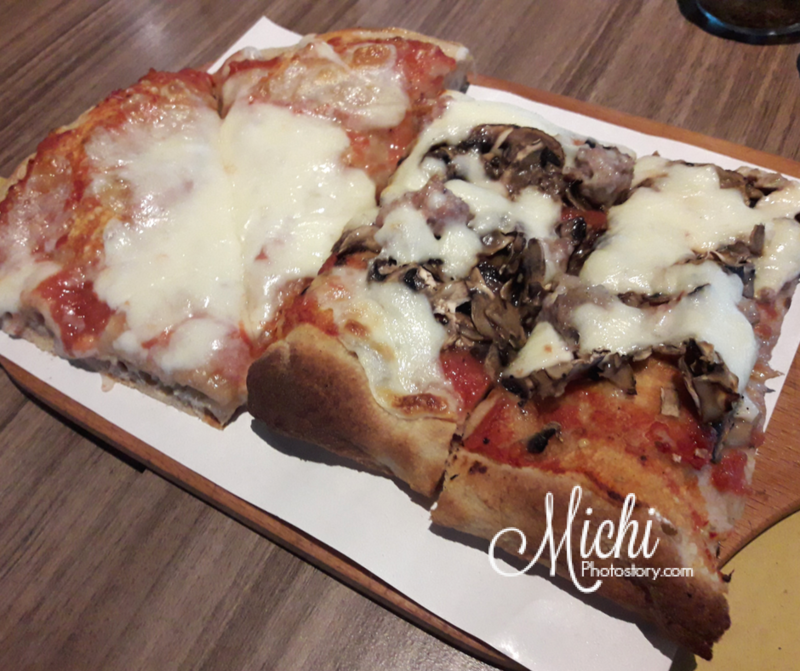 They offer soup, starters, salad, pasta, risotti, pizza, main courses, and dessert. For pizza, you can order by slice, 1/2 meter or 1 meter. My son ordered Margherita THB75+ and I ordered Boscaiola THB120+. Margherita has only 2 ingredients which are tomato sauce and mozzarella but my son loves it. My Boscaiola has 4 ingredients, tomato sauce, mozzarella, pork sausag, and mushroom. One slice can be divided into two or four slices and it makes you full already. After taking a bite, I must agree with my husband. Their pizza is really good, the crust is thick, soft and fluffy, dough pa lang masarap na. And because we love their pizza, I wanted to go back for dinner but we need to go to IKEA Bangna. Asid frome the cooked meals, they also havea deli counter where you can buy cold cuts, cheeses, canned goods, bread, cakes, chocolates and other sweets. 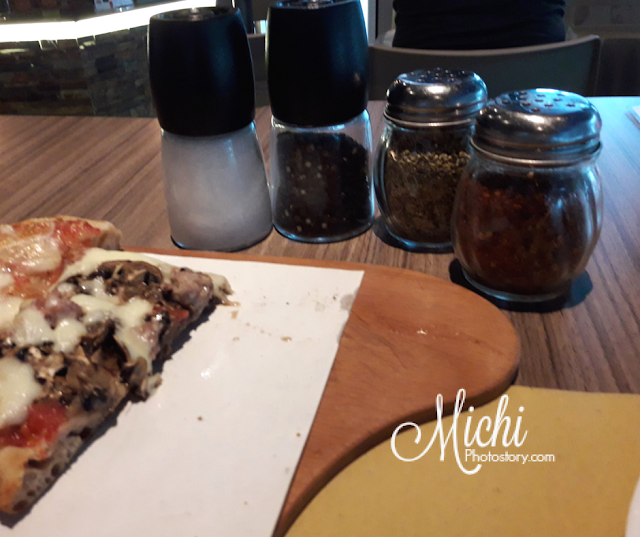 Now, I’m craving for their pizza so if you are going to Bangkok, include this in your must-try food. 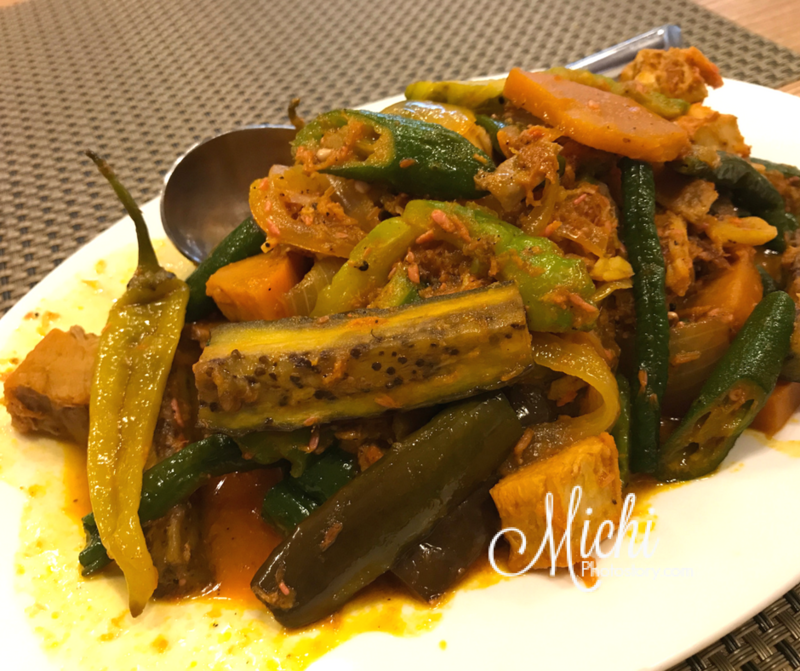 The food is reasonably price and service is fast. 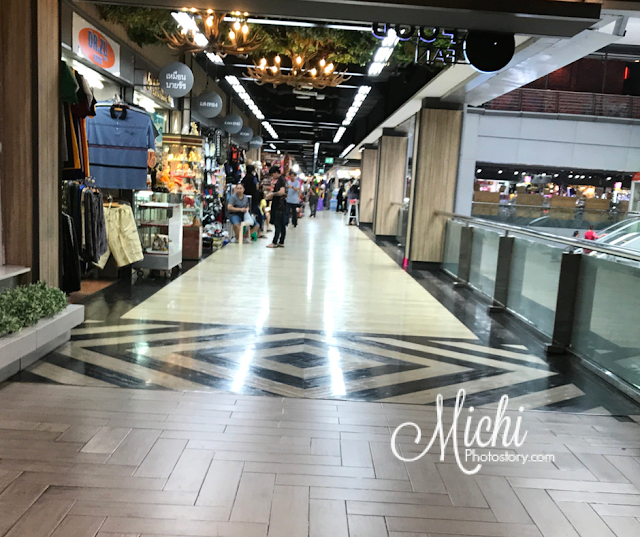 Bangkok Thailand is one of my most visited countries or should I say, most visited airport because for the past decades, I’ve been here several times because of stopover. At last, after so many years of waiting, I can finally say that I’ve been to Bangkok. We went to Thailand last summer, we’re supposed to stay for 9 days but my husband has a seminar in Baguio so we cannot extend our trip. 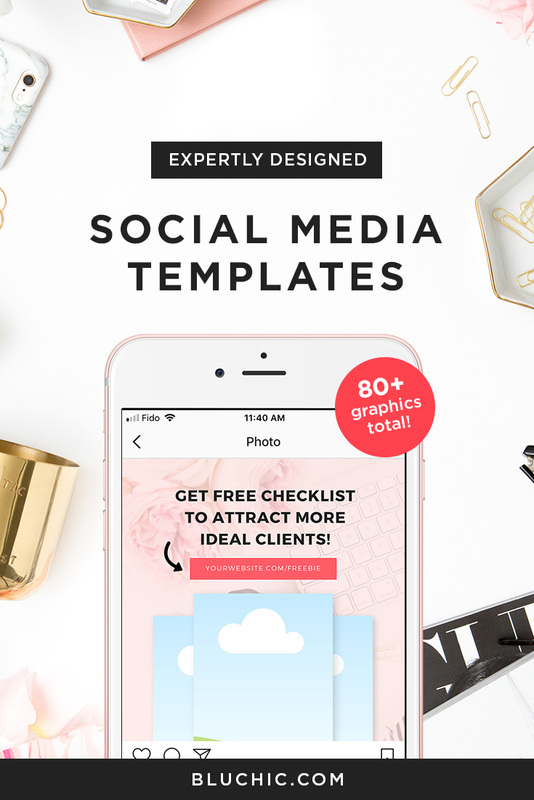 don’t forget to pin it to Pinterest. 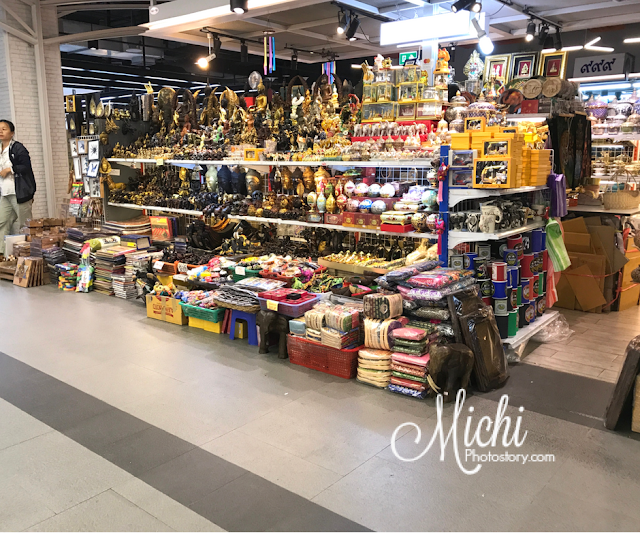 Bangkok Thailand is popular for shopping and temples so it is a bit challenging for me to make an itinerary because my son doesn’t like to go to temples. 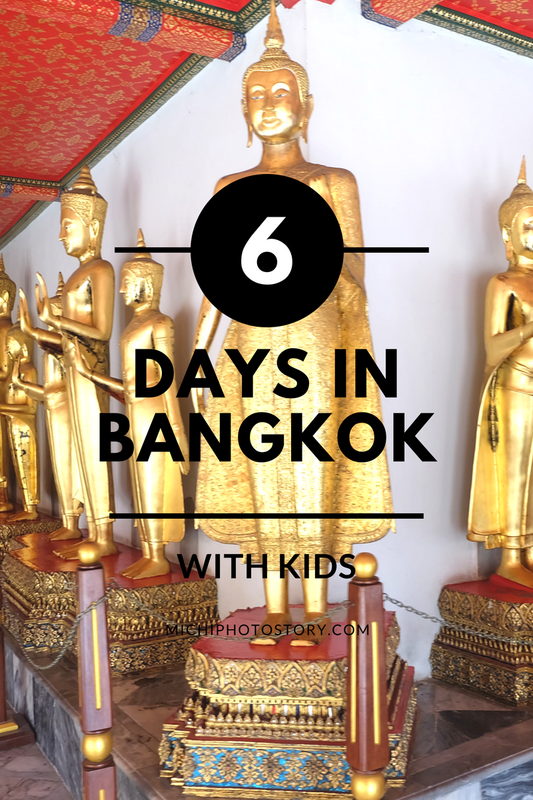 But when I started to search, I realized that Bangkok is also a family-friendly destination and there are a lot of fun things to do for kids. I listed down the different activities and I chose those attractions that are accessible by BTS Skytrain. Here is our itinerary for 6 Days. Prior to our trip, I purchased 4G sim card and vouchers from Klook website and I was able to save almost PHP5000. 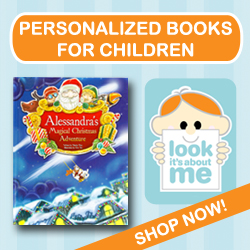 If you haven’t tried Klook, use this link to get a discount for your first booking. My son and I were excited because we’re flying again, we thought #teambahay lang kami last summer vacation. Hehehe! We used to leave our car at the Park N Fly but this time, my husband parked the car at NAIA 2. 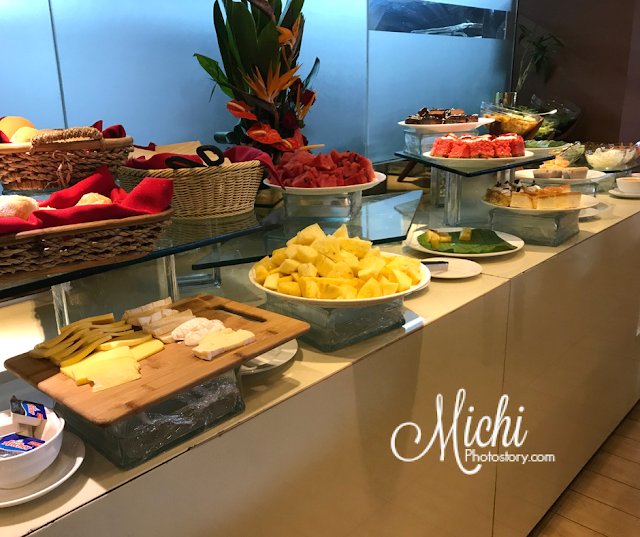 After check-in, we ate our breakfast at Mabuhay Lounge at NAIA 2. We’re glad that our flight was on time and little did we know that our Manila to Bangkok flight will be a memorable one. We only booked for Economy Class tickets using our miles but before the takeoff, we were advised to transfer. Voila, we were ushered to Business Class seats. After more than three hours we landed at Suvarnabhumi Airport, I went to Klook counter to pick-up my 4G Sim Card then we proceeded to Gate 5 for our hotel service pick-up. 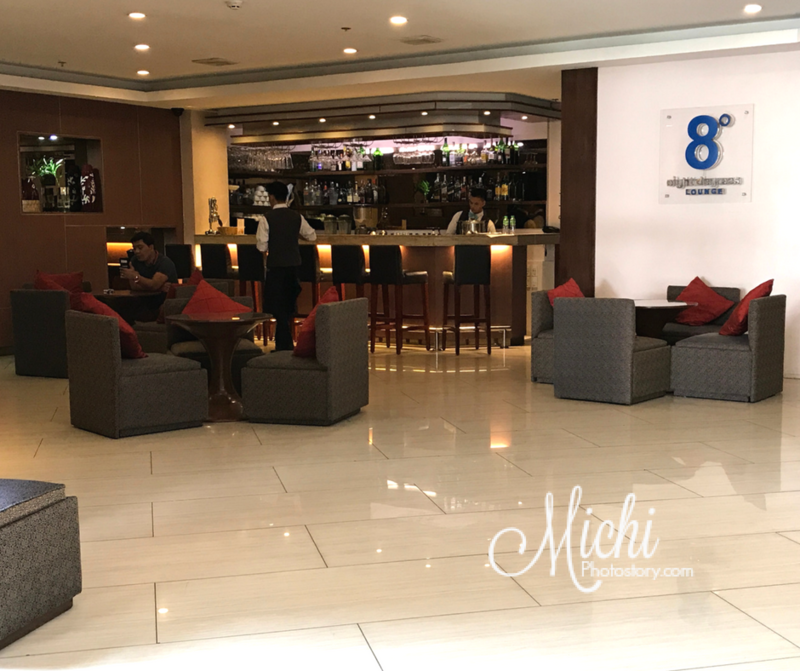 We stayed at Four Points by Sheraton which is located in Sukhumvit Area near BTS Skytrain Asok, MRT, shopping malls and different restaurants. We had a great time at this hotel so if you are looking for a family-friendly hotel in Bangkok, you can add this to your options. As I’ve said, Four Points by Sheraton is near shopping malls so we went to Terminal 21 to check the travel-themed shopping mall. We ate at A&W before going to River City Pier for our Chao Phraya Princess Dinner River Cruise. 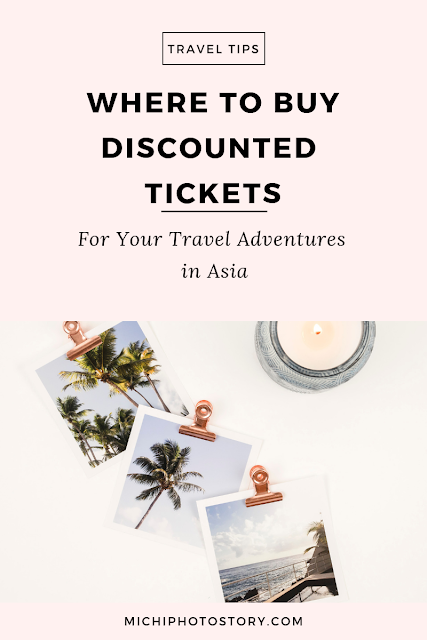 I chose four attractions for our Bangkok Trip such as Sea Life Bangkok Ocean World, Kidzania Bangkok, Madame Tussauds and Dinosaur Planet. Unfortunately, the Dinosaur Planet was already closed during our trip and I crossed out the Madame Tussauds because I feel that it is not worth it, magpapicture lang naman kami sa wax figures. My son likes visiting zoos and ocean parks so I added this to our itinerary. I thought that we will spend our half day here but we only stayed for more than two hours, nakailang ikot na kami nun. We were exhausted already so we decided to go home early and we did not watch the other scheduled shows. We’ve been to Kidzania Manila three times prior to this trip but my son loves Kidzania so no more questions asked, I bought a voucher for this. We’re lucky that we have Kidzania here in the Philippines kasi ang mahal sa ibang branch, good thing I bought a voucher at Klook so I was able to save money. It is also nice to visit other Kidzania branches because there are activities that are not available in Manila. If I remember it right, my son was able to do 19 activities here, so we’re really tired. After two days, it is payback time now. No more kids’ attraction so we went to Jim Thompson House & Museum and MBK Center. I'm not fond of shopping but after our trip to Jim Thompsons House, I saw MBK Center so we paid a visit. We went back to the hotel and rest for awhile and off we went to IKEA Bangna. 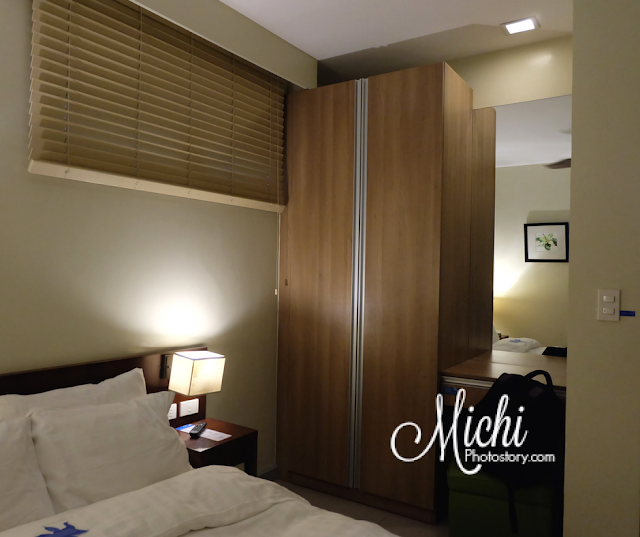 This is the reason why I did not explore MBK Center because I prefer to shop at IKEA, gamit sa bahay ang gusto bilhin. Our flight is past 1PM so after breakfast, we went straight to Bangkok Airport, good thing we left early because it started to rain on our way to the airport. 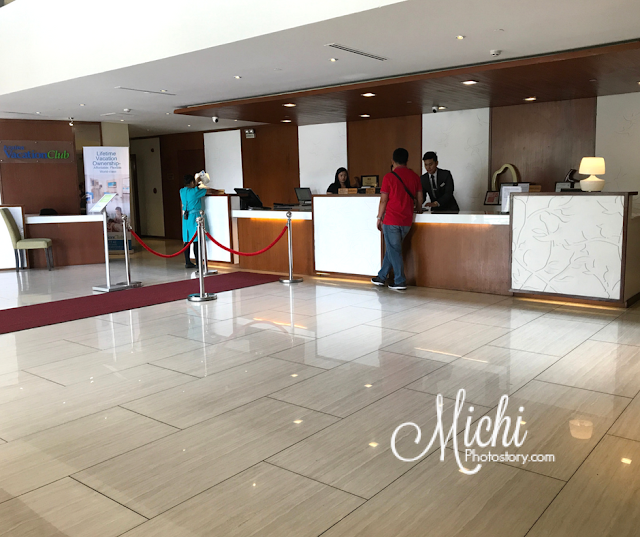 Despite the traffic, we arrived before the opening of the check-in counter. Long day ahead because we're going straight to Baguio. I’ve been living in the province for more than a decade so I’m no longer used to big shopping malls. 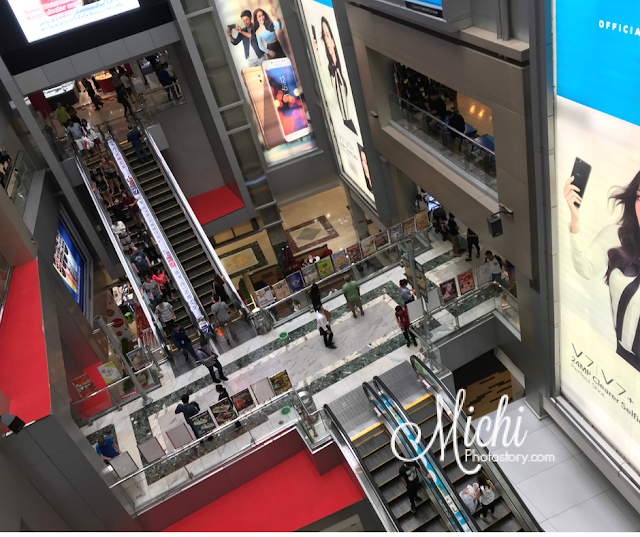 I’m okay with one or two-storey malls so every time I go to Metro Manila malls, I always feel tired, I don’t have the patience to explore it and I just go straight to a specific store or restaurant. If you want to save money, book tickets at Klook. Use this link to get a discount for your first booking. They say that experience is the best teacher and sometimes one simple mistake can cost millions. Good thing that my mistake did not cost a fortune but of course paying P1500 without receiving anything in return is no joke. 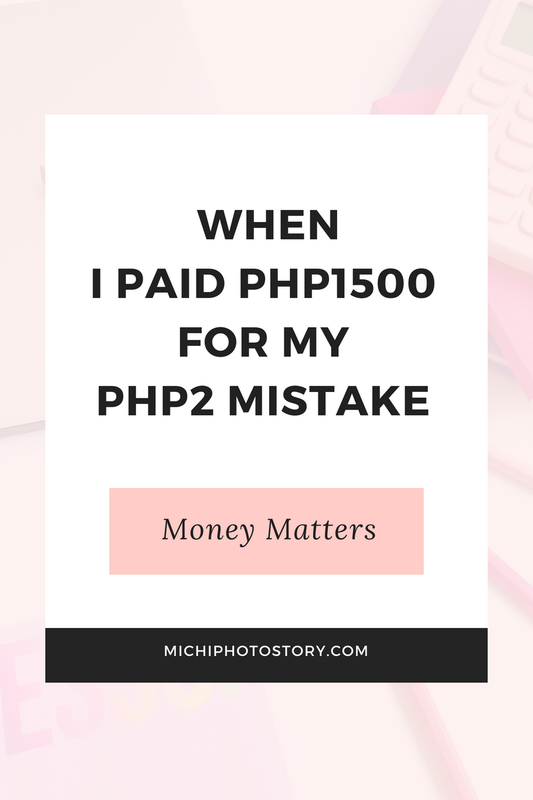 I cannot even accept the fact that I will pay P1500 for my P2 mistake. How did it happen? Typo error. Yes, a simple typo error. Last month, I wrote a check to pay our credit card due. My husband signed the check and I went to SM Payment Center to pay our bill. The cashier processed the payment and I got the receipt. After few days, I checked our bank account and the payment was debited. I checked our credit card online account and the payment was already reflected. May 15 - money was debited to our account and credit card and payment was reflected. So I thought, everything was clear, I have no idea that something will happen on May 18. I went to school to buy books, uniforms, supplies and of course, pay my son’s tuition. When I went back to the car, I double checked our bank account to make sure that we have enough funds to cover the check that I issued. I was surprised when I saw the balance of our account, “Bakit sobra?”. May 18 - I checked our bank account and was surprised to see the balance. I checked the transaction history and there is a note about “ret chk” and I saw the amount that we paid for the credit card bill. My husband called the credit card company to ask why our check was returned if we have enough funds to pay the due. But the credit card company advised us to call our bank because all they can see is “returned check” and the P1500 fee cannot be waived. Waah! May 16 - Money was returned to our bank account due to Returned Check. May 17 - Credit card company charged P1500 for the returned check fee + amount due. My husband called the bank. At first, they cannot give us the reason why the check was returned. The CSR just kept on saying returned check which we already knew. We want to know the reason why it was returned. Then she gave us a link of possible causes na alam na rin namin, kahit sino pwede magGoogle nun. 1. There are insufficient funds in the account. 3. Technical deficiencies like stale, post-dated checks, erasures, typo error or different signature. Then she said, typo error. My husband asked her what kind of typo error, hindi rin masagot. Of course, hindi naman ko matahimik, san ako nagkamali? I wrote the check, my husband signed the check and the cashier processed the payment. Wala kami napansin na mali. Finally, after several hours of calls, text and emails. The CSR sent us a scanned copy of the check and I want to beat myself when I saw my mistake. Five years ago, I made a mistake too, error on my date. I wrote July 12, 20113 but the bank was kind enough to call me so I was able to correct my mistake and they did not charge me. But now, all checks with technical deficiencies, alterations, erasures, or issued checks with insufficient funds will be automatically returned without the need of confirmation. So wala ng tawag-tawag, penalty agad. And because of that, I have to pay P1500 for that simple mistake. At that time, I was worried because I just wrote a check for my son’s tuition so napaparanoid ko baka mali na naman sulat ko. Good thing okay naman yung check and that was the last check that I wrote. So far, di pa ko makamove-on. Lol. I’m thankful that my husband did not get mad at me. I'm thankful that I checked our bank account because nobody informed us about the returned check. I’m thankful that our credit card bill was not due yet so no interest despite the bounced check and I was able to repay our bill before the due date. And lastly, I’m thankful for my credit card points so I was able to pay P1500 using our cash rebates. I also enrolled our credit card in our online bills payment so I can pay it online na lang na bakit hindi ko pa ginawa dati. 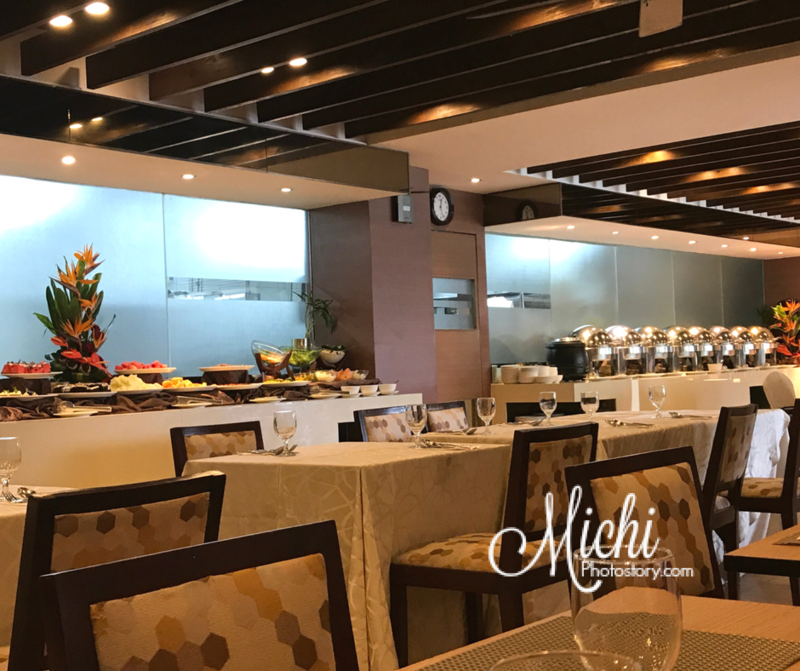 Baguio is a popular summer destination in the Philippines so if you want to go to Baguio, it is very important that you book early because hotels are always fully booked. 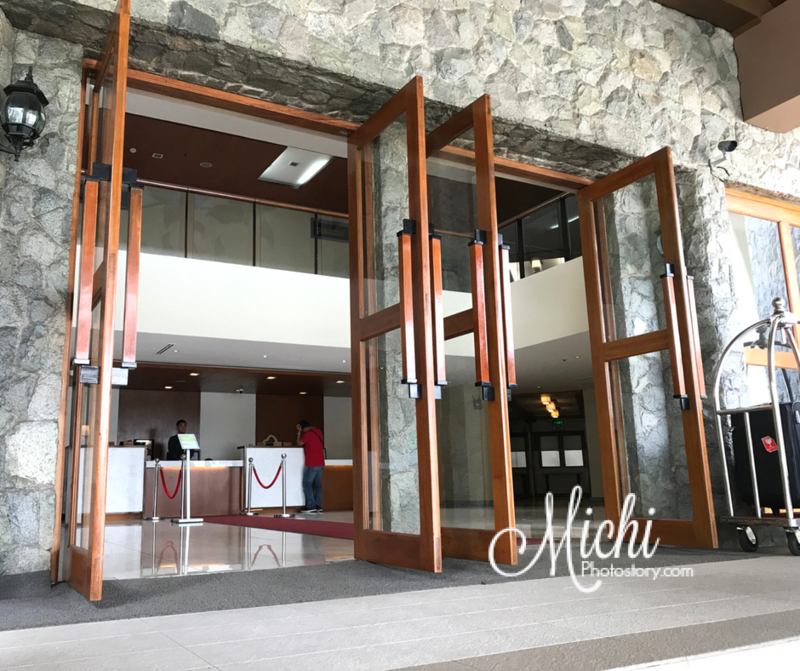 Last April, my husband had a seminar in Baguio so we decided to stay in one of the hotels near Camp John Hay, unfortunately the hotels that we checked were already fully booked. We’re running out of time and few days before our trip, my husband’s friend booked us a room at Azalea Hotels and Residences. Not really our choice of hotel because I find it expensive but we need a room for two days. Lesson learned, BOOK EARLY. Since we are coming from Bangkok, my husband informed the hotel that we will be arriving in the evening. From NAIA 2, it took us more than 5 hours to reach Baguio. We arrived past 11PM, after check-in off we went to our room which is just located on the first floor. We always book a standard room but since the room is not available, we settled for one bedroom suite. The room package includes complimentary buffet breakfast at Tradisyon for 4 persons. The room is big, it has a kitchen area, living room, bathroom, bedroom, and balcony but the view is a wall. There are 2 TVs but we did not check if it is working or if there is a cable. The kitchen has pots, plates, glass and other stuff that you need if you want to cook or prepare your food. But we did not use it because we prefer to eat outside. The room is good for 2 adults and 2 kids or 4 adults. It has one queen sized bed at the Master’s Bedroom and one convertible sofa bed. We’re thankful that the sofa bed was already prepared when we arrived because we really wanted to sleep. Same with The Manor Hotel, it has no aircon. We have a ceiling fan in the bedroom. May window yung bedroom so kahit sarado, rinig ang ingay ng dumadaan. 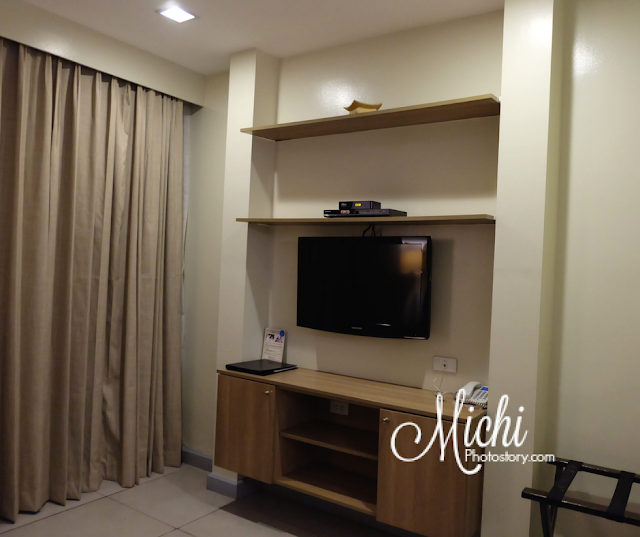 Honestly, when I saw the room I was really disappointed because the rate of the room is P8000+ for one night. They claimed that they are 4-star serviced apartment hotel but looking at the room, I guess it is not a 4-star. Yes, the room is big but it is not clean, just look at their tiles. When I moved some stuff like chair, trash bin, lumalabas ang dumi at alikabok. The bathroom is small and it really needs an improvement. 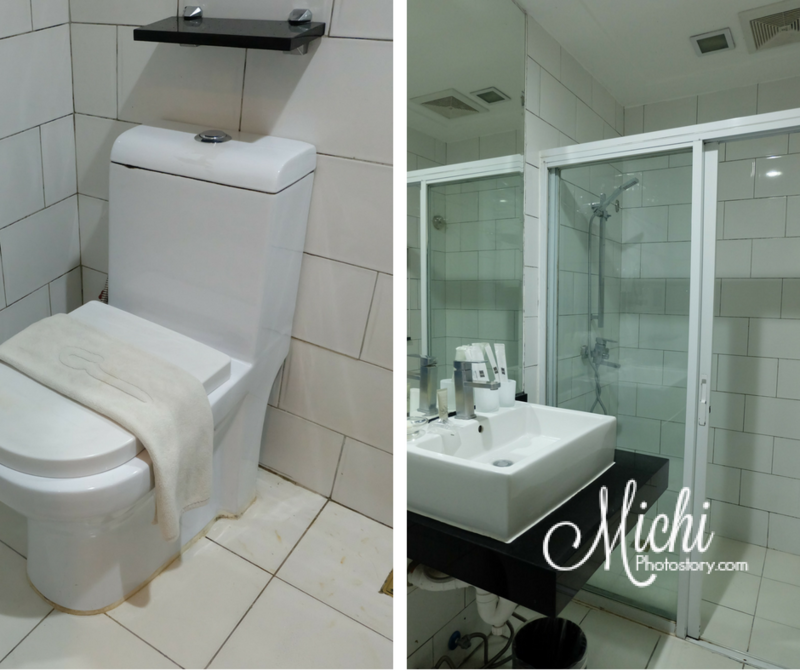 Just check the tiles and grout of the bathroom. The floor towel is also dirty and the floor tiles are really slippery when wet. It provides basic toiletries like toothbrush, toothpaste, lotion, shampoo, shower gel, conditioner and soap. The bath towels are good for three persons and they changed it every day. Our toilet bowl was clogged so we need to call the following morning so they can fix it. My son and I just stayed in the room so we were there when the housekeeping cleaned the room. He cleans the room and bathroom using broom and floor mop. I think they need to invest on cleaning materials, their tiles need deep scrubbing. Hindi naman ko OC sa kalinisan pero whenever I think of the P8000 rate, I was expecting na okay ang room. We stayed in other hotels with living room and kitchen area pero maayos at malinis naman. Yung tiles ng lobby nila, malinis at shiny pero bakit ang room, hindi? Since we are staying on the first floor, you can hear a lot of noise. On our second night, nagising na lang kami around 11PM kasi ang ingay talaga. After several minutes, my husband can’t take it anymore so he called the front desk and informed them. We checked the hallway, wala naman tao, so we don’t know kung sa lobby or sa parking area ba nanggagaling ang ingay. Nakakainit ng ulo. At that time, my husband was planning to check-out na, uwi na daw kami. But I told him, sayang bayad, konting tiis na lang last night na naman. hehehe! Imagine, mas mura pa yung hotel namin sa Bangkok kaysa dito pero ang layo ng experience. 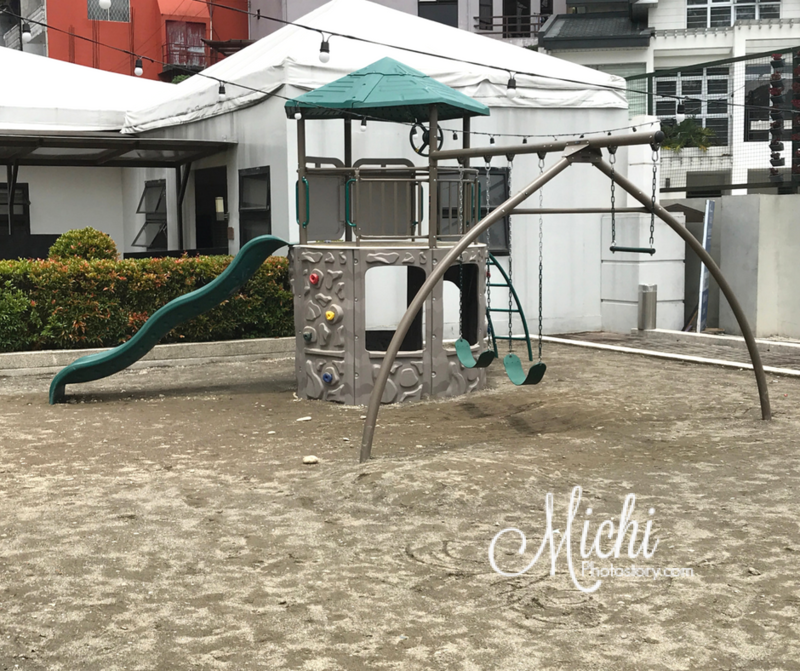 If you have kids in tow, they have small playground outside the hotel. Aside from that, wala ng magagawa so it is not ideal for staycation. Tulugan lang talaga siya. 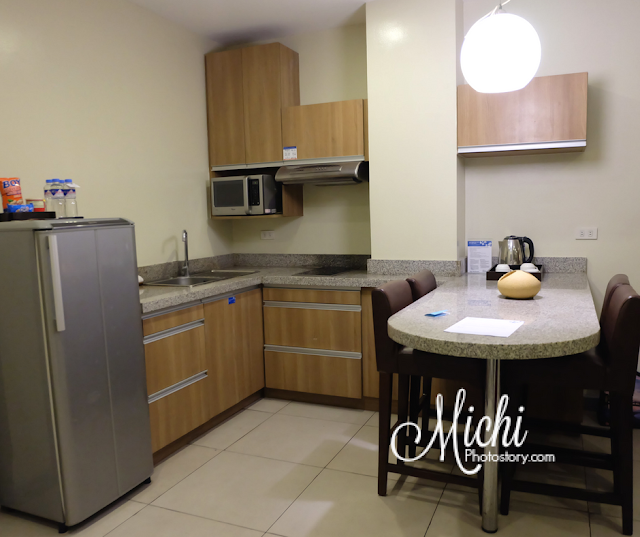 Since the room is big, it is good for big family or if you want to cook your own food para tipid. But since we are family of 3, I guess we will just choose other hotel. There is free wifi but it is hard to connect and phone signal is weak too in our room. 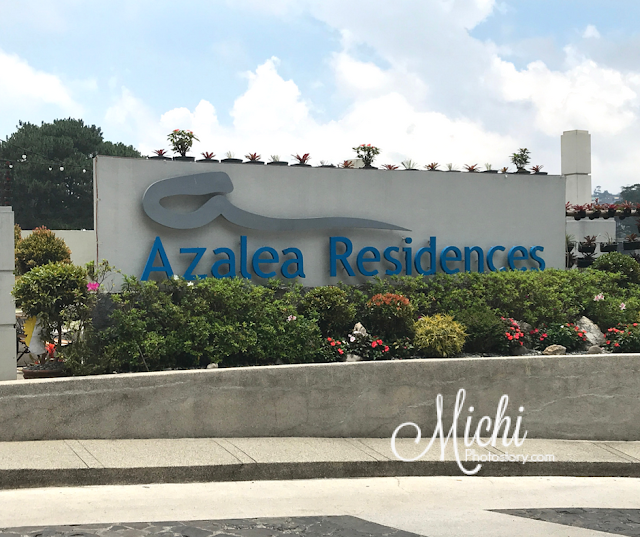 Despite of our not so good experience, I cannot deny that the service is good naman. 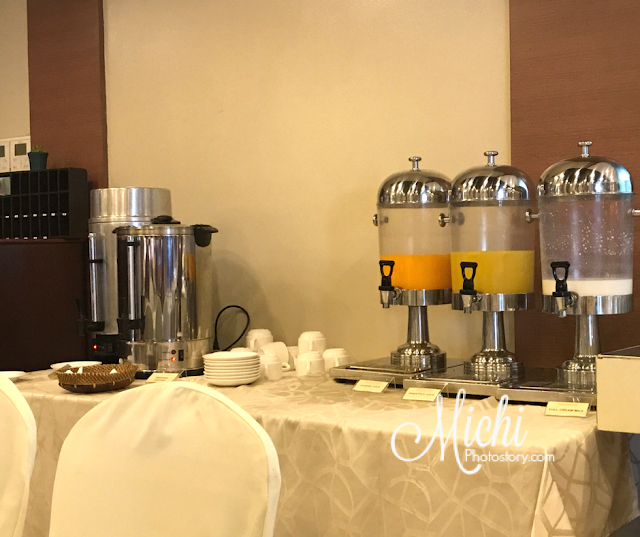 Most of the staffs are friendly and helpful, I think they just need to improve the cleanliness of the room and of course, check the room if everything is working. 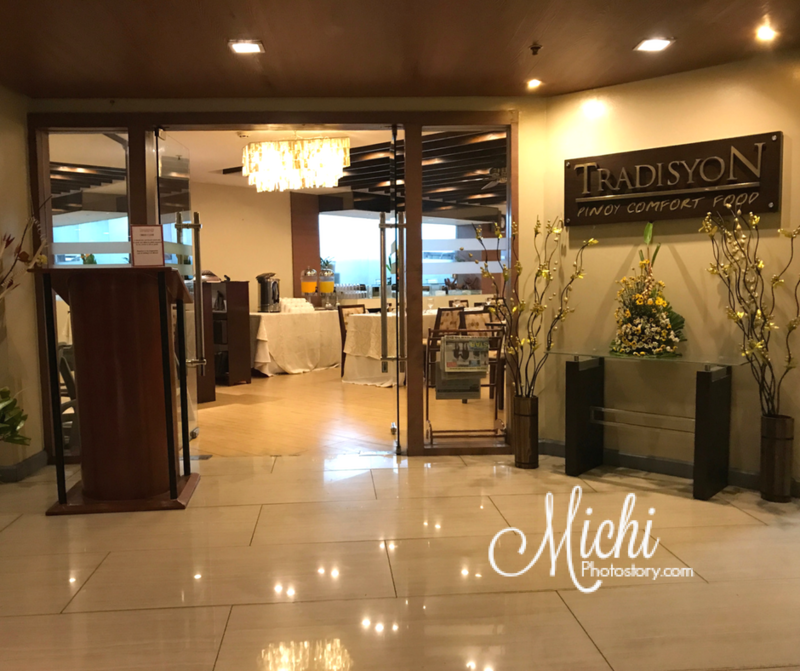 We also enjoyed our buffet breakfast at Tradisyon. We celebrated Mother’s Day at Tong Yang Plus last month and yesterday, we went back again for Father’s Day celebration. 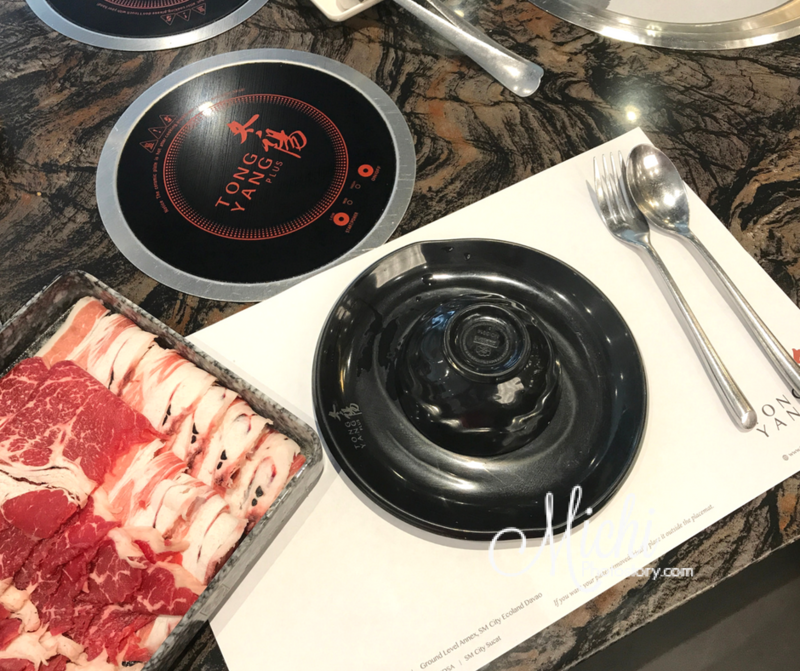 My husband just wanted to eat in the Korean Restaurant near our place but I suggested Tong Yang Plus so my father-in-law can try the shabu-shabu. NakapagKorean Restaurant na rin in-laws ko so para maiba naman, we dined at shabu-shabu and BBQ restaurant. It was a last minute change so after breakfast, nagmamadali na kami. We left at 9:30AM and picked-up my in-laws. We arrived at Tong Yang Plus before 11AM and I was really surprised when I saw the crowd. The restaurant is already full, the last number they called is #43 and I got #57. We patiently waited na may mag-bill out. Siguro naman after 1 hour and 30 minutes may lalabas na. Naiinip na in-laws ko and even suggested magJollibee na lang kami. Hahaha! But we told them na we will wait til 1PM so my husband bought some snacks, pampalipas gutom. Matira ang matibay, we’re just waiting outside the restaurant. And finally at 1:10PM, they already called our number, we waited for more than two hours just to eat. 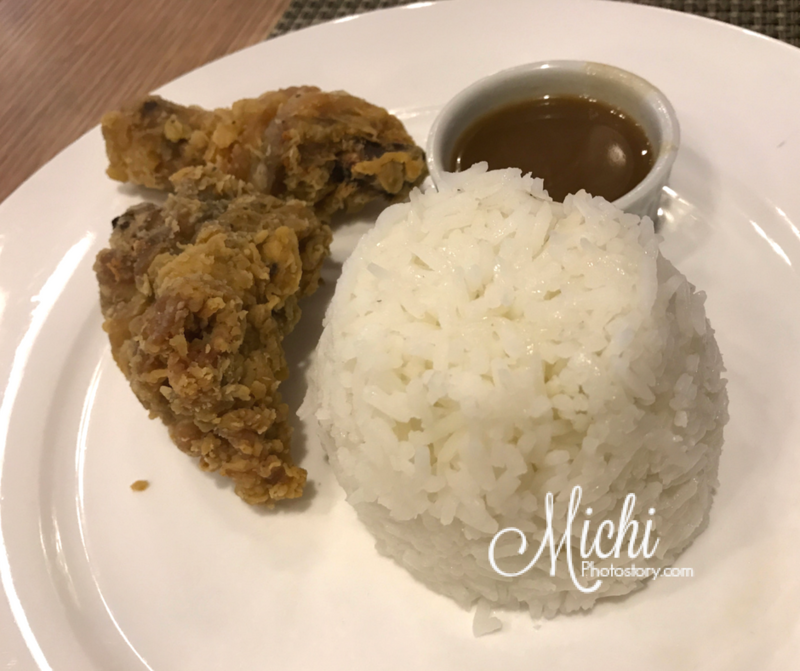 It was my husband’s birth month too so we took advantage the Birthday Promo, “Celebrants can eat free for any day WITHIN THEIR BIRTHDAY MONTH and should be accompanied by FOUR FULL PAYING ADULTS”. 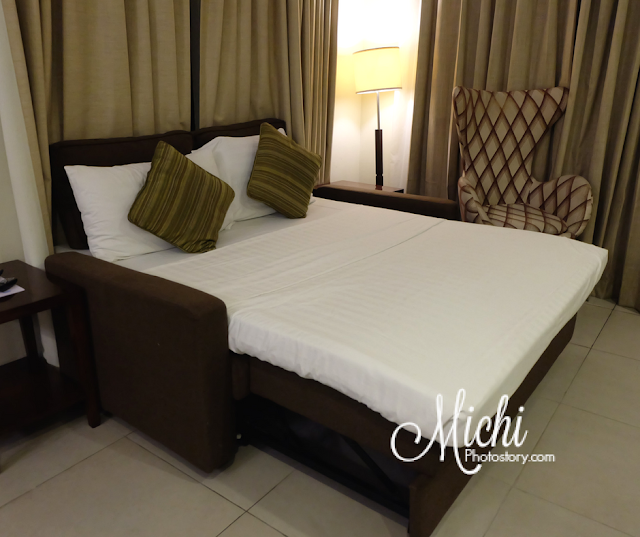 My son’s rate is only P388 + 5% discount but we paid adult rate so we can avail the promo. I noticed that they don't give cake or greet the birthday celebrant, may discount lang. There some slight changes on the menu and because of the crowd, nagkakaubusan talaga and medyo matagal din ang refill. My son was looking for tocino and bbq, that was he ate kasi last time. hehehe! Hindi rin ko nakakuha ng ebi tempura, crabs and even garlic. As in wala na minced garlic, sabi nila nagrerefill, e more than 1 hour kami nag-eat, wala ko nakitang garlic kada balik ko. Ito pa naman fave ko sa Tong Yang, yung butter + garlic + meat or fresh shrimp. I learned that they have fresh shrimps, nakatago lang. You have to ask the staff and they only give two pcs of fresh shrimps per plate. Hahaha! 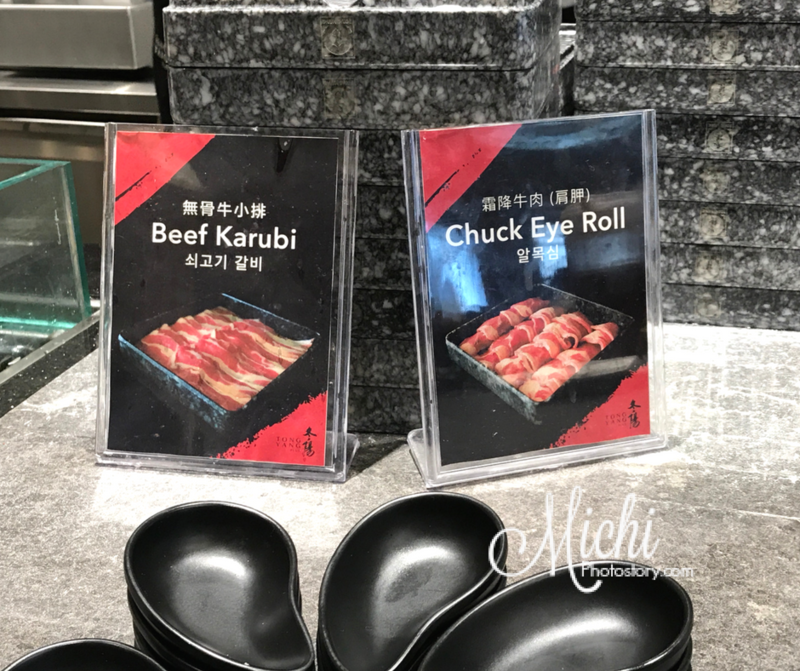 For sliced meat, only two meats are available which are Beef Karubi and Chuck Eye Roll, which is okay na rin because I haven’t tried this last time. Since I was hungry, I only have limited pictures. Watch the video here or read my Mother's Day at Tong Yang Plus post here. 3. Celebrants can eat free for any day WITHIN THEIR BIRTHDAY MONTH and should be accompanied by FOUR FULL PAYING ADULTS. 5. 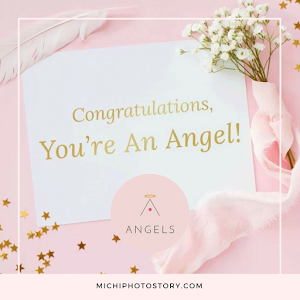 Celebrants should present any original ad valid government issued or company ID bearing their photo and birthdate. * Local and foreign ID’s will be accepted. * Failure to provide above ID requirements, birth certificate may be presented alongside with any ID bearing their photo. 8. Promo is available at all Tong Yang Plus branches. 2. For every 10 added guests, 1 additional guest may eat for free. 3. 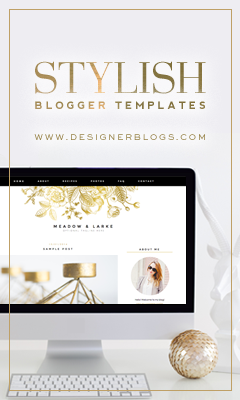 This promo cannot be used in conjunction with any other promotions or discounts. 5. This promo is only available at Tong Yang Plus Bicutan. Bintulu, once a quiet village known for fishing and farming, is fast emerging as a developing oil town. The part coastal, part riverine town of Malaysia is fast becoming a tourist destination in Sarawak. Situated between Kuching and Kota Kinabalu, it is a significant gateway to tourist spots and most interesting sights. Make your bookings and pick one of the popular Bintulu hotels for your stay. Make sure that the hotel is close to the interesting sights just beyond the city. Bintulu Airport is not far from the city, and it will take you about minutes to reach your hotel or the town. There are many options for lodging and accommodations in Bintulu that are sure to cater to every kind of traveler and preferences. One can stay at guesthouse, hotels and even look for home stays. Parkcity Everly Hotel Bintulu is a modern hotel that boasts of lovely views of the sea and offers all the modern amenities. Moreover, it is located near to the market area and the restaurants. Kuan Yin Tong Temple is very close to the center of Bintulu. Vest the wonderful Chinese temple with a lovely garden courtyard and w man-made waterfall. The religious building is surrounded by koi ponds as well as three churches. Note the quality craftsmanship in the dragon fencing. * Longhouses are another attraction of the town, and the wooden house with thatch roofs and bamboo walls are placed on stilts. Sarawak’s indigenous groups live in these traditional dwellings. * Similajau National Park was set up in 1976 and is a habitat for nesting green turtles. Explore the walking trails and relax on the beautiful beaches of the 27-square-mile park. * Kampung Jepak is the traditional fishermen village that is separated from the central town by Sungai Kemena. Learn about the traditional lifestyle of Bintulu fishermen. * Bintulu Promenade is the state's longest waterfront. The commercial and recreational park has become a significant attraction here just the right place to take a relaxing stroll and enjoy the evening breeze. * Golf at Bintulu Golf Course and it is a must for visitors who love to play golf. Enjoy the game as well as the splendid sceneries of pine trees around the rocky beach. * Bintulu does not lack nightlife, and there are numerous bars, pubs, and clubs here where you can have a gala time with your friends. Enjoy singing at karaoke after a hectic day. Bintulu will not disappoint you when it comes to shopping. ParkCity Mall offers a good range of Western and Malaysian stores while the lively Pasar Malam Night Market is another excellent shopping location for local crafts and souvenirs. Pasar Utama and Pasar Tamu are outdoor markets which are a great place to interact with the locals. There are numerous shopping spaces in Bintulu and one can choose based on their needs and preferences. There are many restaurants and food stalls serving local delicacies and traditional food items. Different stalls serve different taste and flavors. For example, Marco Polo Steakhouse is known for best steaks town. Come here if looking for a welcoming change from the local cuisine. Seribu Bintang Restaurant serves a mix of Malay, Indian, Chinese and Indonesian food and is a hot favorite with the locals. 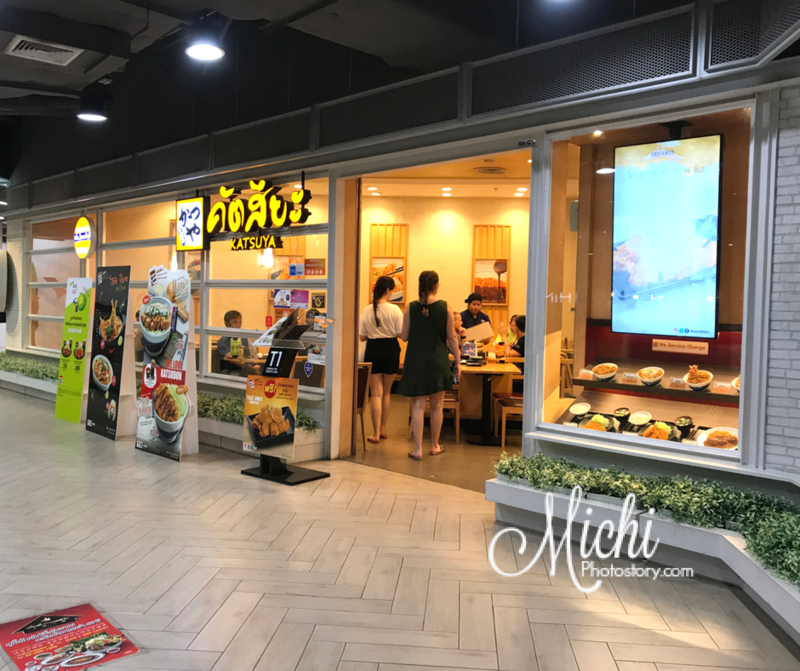 Taipei House Restaurant is brightly lit and serves great food. Pasar Malam is held every single day here, and thus you get the chance to enjoy local 'fast food' such as roti canai, burger, Balik, roti canai and pork delicacies such as siew pau. 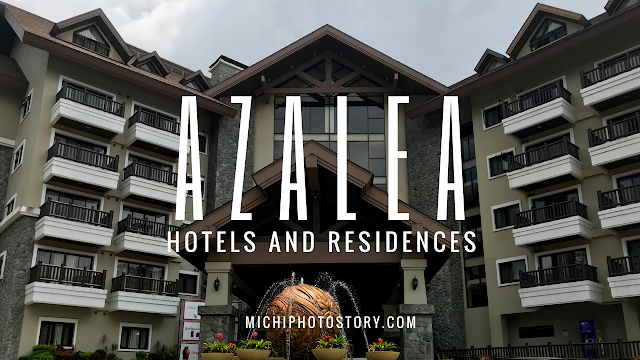 We stayed at Azalea Hotels and Residences when we went to Baguio last April. 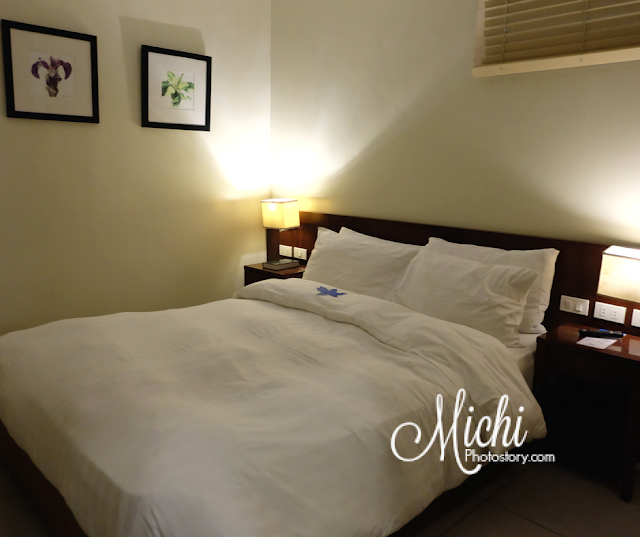 The room package includes complimentary breakfast for 4 persons at Tradisyon restaurant. 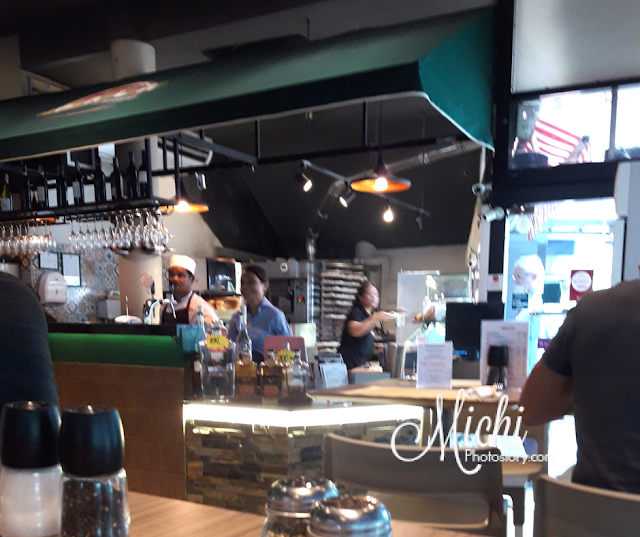 From the name itself, it serves Filipino dishes and some international foods. 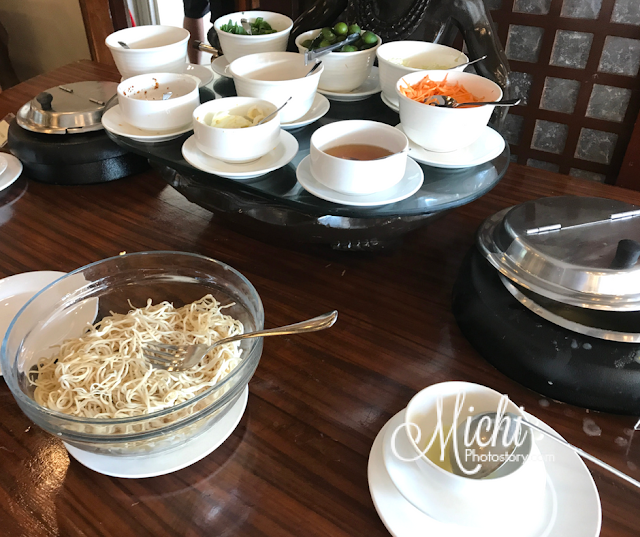 We just came from our 6 Days Trip in Bangkok so I was really happy when I saw the different Filipino meals in their buffet spread. I love Filipino dishes so namiss ko talaga ang adobo, dried fish, daing na bangus, pansit, tapa and many more. 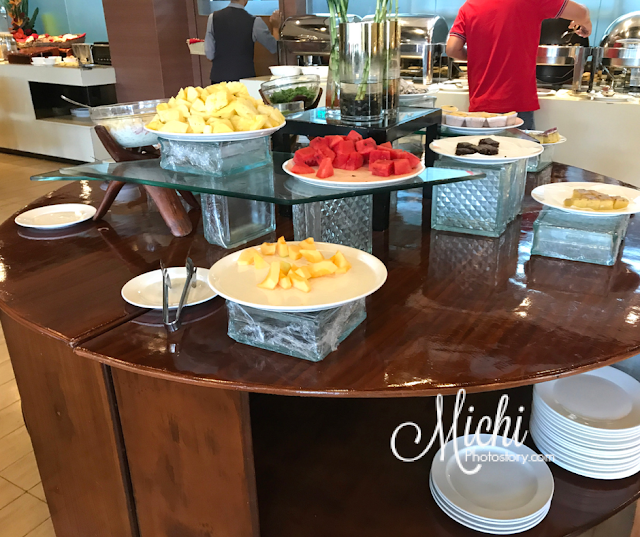 They have salad, bread, main dishes, dessert, soup, fruits, drinks and omelet station. I just have limited photos because the restaurant was crowded, maybe because it was long weekend. The restaurant was not that big so it is better to eat early or else ang tagal niyo maghihintay ng vacant tables. On our first day, we’re just lucky kasi dalawa lang kami ng anak ko so naisingit pa kami pero yung ibang guests, ang tagal talaga naghintay. I was a little bit disappointed because when I ordered omelet, tapos na ko kumain, wala pa rin. I made followed up pa, more than 30 minutes ang waiting, parang di naman nasunod yung listahan. Hindi din ako nag-iisa, the two tables on my left and right nagrereklamo na rin sa tagal. Yung isa, pinacancel na rin niya yung omelet kasi tapos na rin siya kumain. Timing naman, the staff gave me a survey sheet so I wrote about that incident. Hehehe! The following day, may changes agad. Okay na yung pag-order sa omelet station and we even requested for bacon. 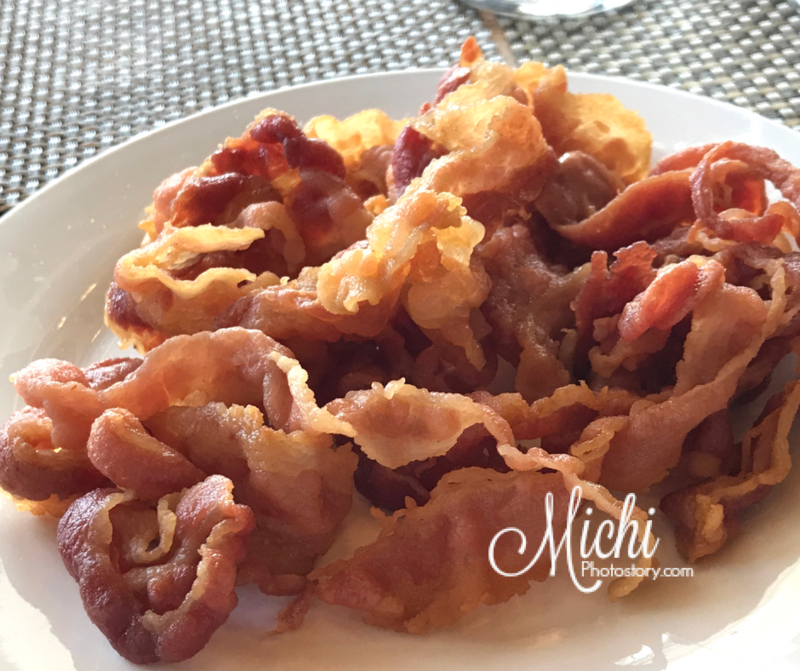 Yes, the bacon is not included in their buffet spread but you can order without additional charge. Since I was lazy to go out, my son and I ate lunch at Tradisyon Restaurant. They have brunch buffet but I’ve been eating a lot of buffet meals so I chose a la carte meals. I ordered pinakbet, rice, and chicken and spaghetti (kid’s meal). 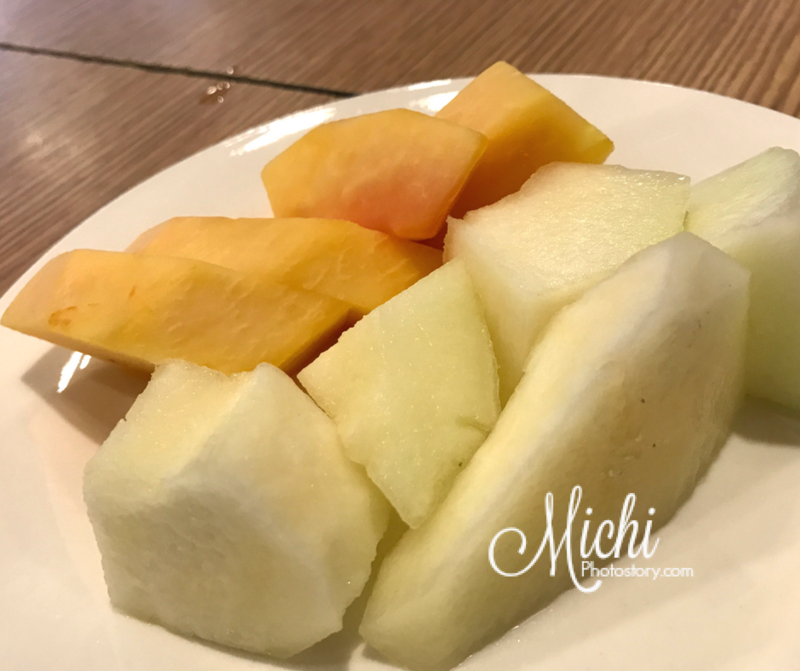 While waiting the staff gave me fruits pa, complimentary daw. My son doesn’t like spaghetti so they I asked them to replace it with rice but the staff told me, same price pa rin. I have no choice but to agree kahit alam ko na wala pa P100 ang Chicken Joy meal sa Jollibee. Hehehe! I was surprised when they served the pinakbet, good for three persons. Waah! So take-out na lang, since we have microwave in the room naman. I forgot the exact price but I paid P500+ for our meal so napaisip ko, sana nagbrunch buffet na lang kami. Hehehe! The food is good naman and ang dami din nila walk-in guests. They also give discount and cake for birthday celebrants, at that moment ang dami may birthday.